Andrew Lloyd Webber has been a theatre owner since 1983 and now owns six London theatres: the Adelphi (in association with Nederlander International Limited), London Palladium, Drury Lane, New London, Her Majesty’s and the Cambridge. In 1993, the auditorium was reconstructed in vibrant gold and orange colors to appear as it did in 1930. Major changes were also made to the stage machinery in order to mount the technically complex Sunset Boulevard. 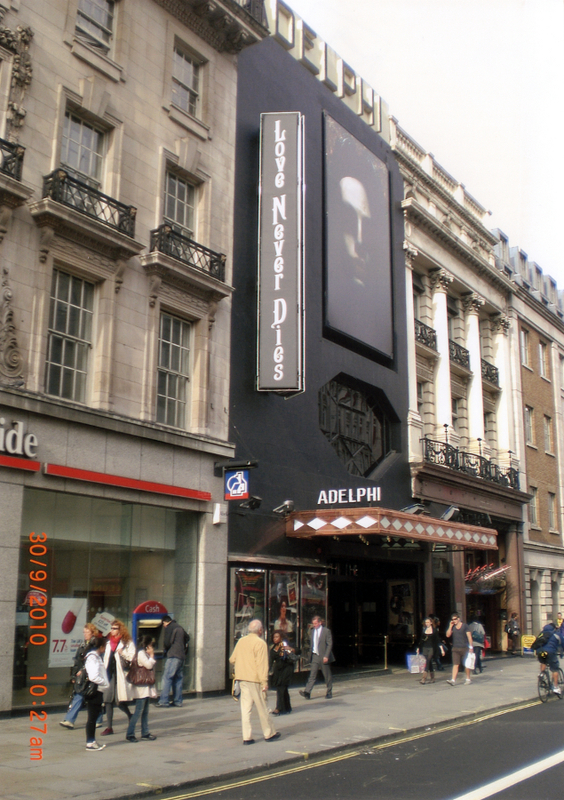 The Adelphi home page shows the theatre as it was in September 2010. A curious passer-by in a yellow sweater learns the current production is Love Never Dies.